Make it in under 2 hours! 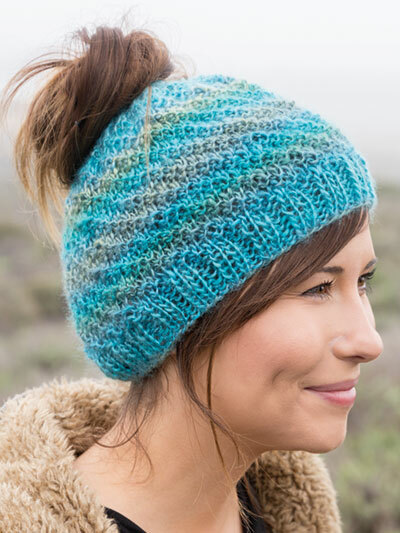 Join the craze of the Messy Bun Hat -- be stylish and keep your head and ears warm while wearing your hair in an updo or messy bun! Knit using U.S. size 9/5.5mm 16" circular needle and double-point needles (set of 5). 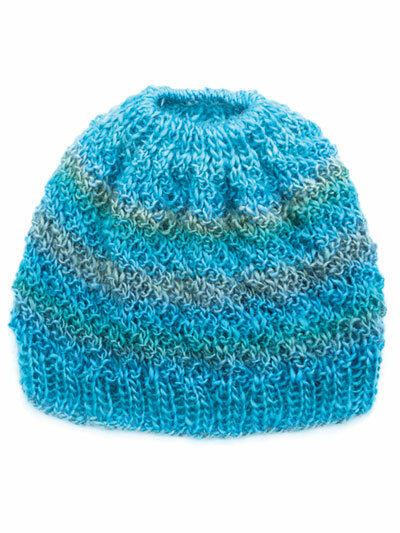 Model was made using one skein of Red Heart Unforgettable #4 worsted-weight yarn in the color Tidal. Circumference 18 1/2 (19 1/2, 20 1/2)"
Height 7 1/2 (8, 8 1/2)"
First try in large size was way to big for person with head even larger than pattern recommendation. But the second one in medium size tightly knitted in the rib turned out great. Loved the end result. Really enjoyed that it knitted up quickly. This was easy to follow. I did not have the circular needle so used 4 double pointed needles and had no problem so long as I was mindful not to let my work move too close to the ends of each needle. The final result was very attractive. Made the middle size and it was way way too big. Then used 2 sizes smaller needles, I guess it's just ok. The pattern was very easy to make. The instructions were clear and not confusing. I prefer using circular needles to knit hats which is a plus. 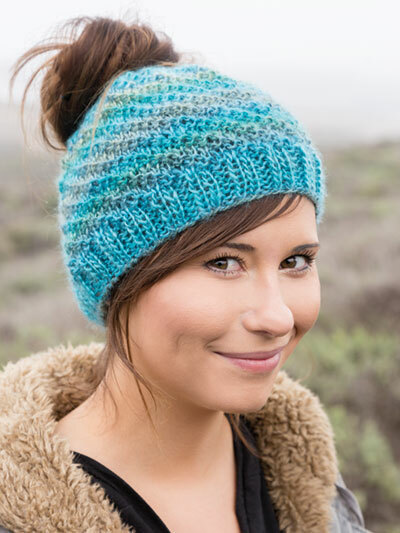 I will definitely knit more hats from this pattern. It is a cute design. I recommend this pattern.